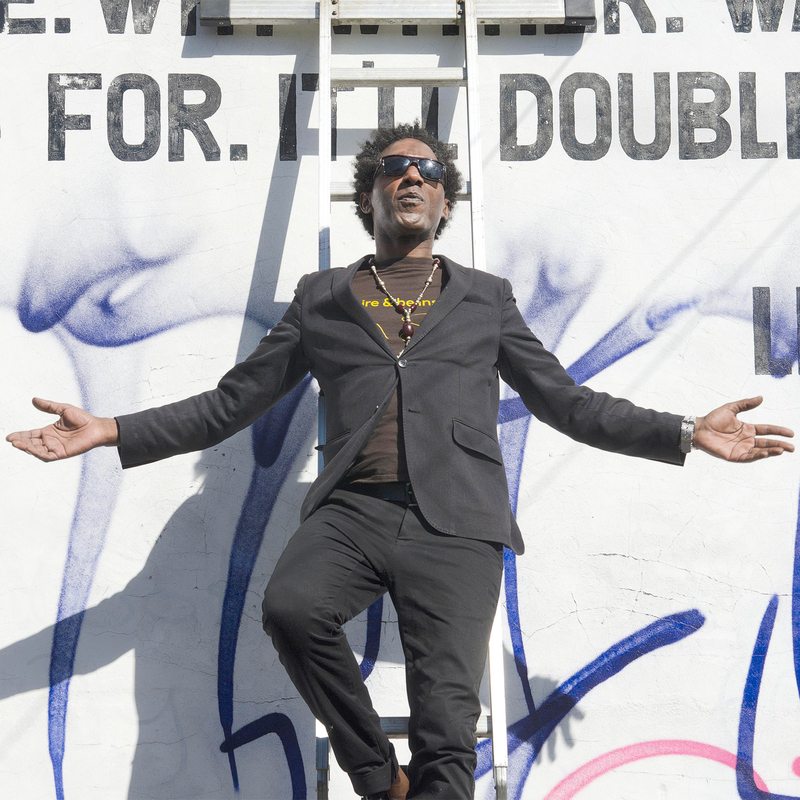 Internationally renowned poet and broadcaster Lemn Sissay was born 1967 in Wigan and is now based in Manchester and London. Lemn was fostered up to the age of 12 and then placed in children’s homes until his late teens – with no family contact. At 18, Lemn moved to Manchester to pursue his literary career. He met his birth mother when he was 21, after a long search. She was working for the UN in the Gambia. Lemn’s experiences in the care system is a subject he returns to with heartbreaking effect in his plays, poems and documentaries. Lemn released his first book of poetry in 1988 at the age of 21, and since the age of 24 he has been a full-time writer, performing internationally. He was recently elected as Chancellor of the University of Manchester for a seven-year term. Lemn enthusiastically agreed to work with the students on our project and chose Hardys Well Pub, Rusholme, for the photography – the location for his first landmark poem back in 1992. We transported a set of ladders to the photo shoot to enable Lemn to climb up and surround himself with his owns words. Hardys Well is now disused and graffiti artists are starting to move in on the giant wall. “The natural order, art reclaiming art,” said Lemn. With the use of the ladders and a creative interpretation of the trespass laws, we completed the guerrilla style photography in 10 minutes. Dropping Lemn off afterwards at Piccadilly Station, he grabbed his bag, leaned through the car window and said: “That was fun, rock n’ roll guys!” And then he was gone.